The ProForm Pro 1000 Treadmill is built with quality components for durability and smooth quiet operation, and is packed with a host of top high-end features, including iFit technology, to keep your workouts interesting and challenging. The ProForm Pro 1000 Treadmill is built to withstand intensive use with a maximum 325 lb user weight capacity. This treadmill utilizes a powerful 3.0 chp Mach Z commercial motor, designed to stay cool through even the toughest workouts, and creates high levels of inertia to give a smooth and quiet workout. 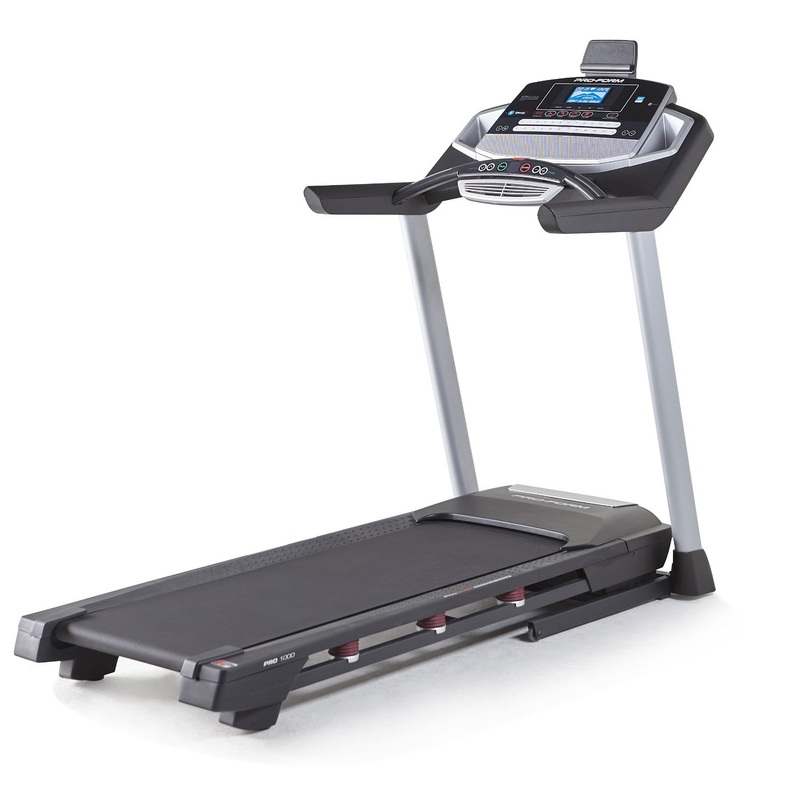 The ProForm Pro 1000 Treadmill features a spacious 20” x 60” tread belt and is equipped with ProShox cushioning for a more comfortable workout that’s easier on your feet, ankles, knees and hips, whether you’re walking, running or jogging. With less impact on your joints, you can enjoy a longer workout and faster recovery time. The ProForm Pro 1000 Treadmill offers speeds of 0-12 mph and incline adjustments up to 12%. Both the speed and incline can be easily adjusted with the simple touch of Quick Control buttons. The ProForm Pro 1000 Treadmill features 22 built-in workout programs, including speed, incline, intensity and calorie programs – all designed by a certified personal trainer to help you reach your fitness goals. In addition, the ProForm Pro 1000 is iFit enabled (accessible via your tablet or smartphone / subscription required) for additional customized workouts, Google Maps training routes, activity tracking and more. With Goole Maps training routes, the treadmill will automatically adjust the incline to simulate the terrain, such as uphill, downhill etc. The ProForm Pro 1000’s console features a 6” blue backlit LCD display which shows motivating workout stats, including time, speed, distance, calories burned and heart rate. Your heart rate is measured via the built-in pulse grip sensors located in the handlebars. 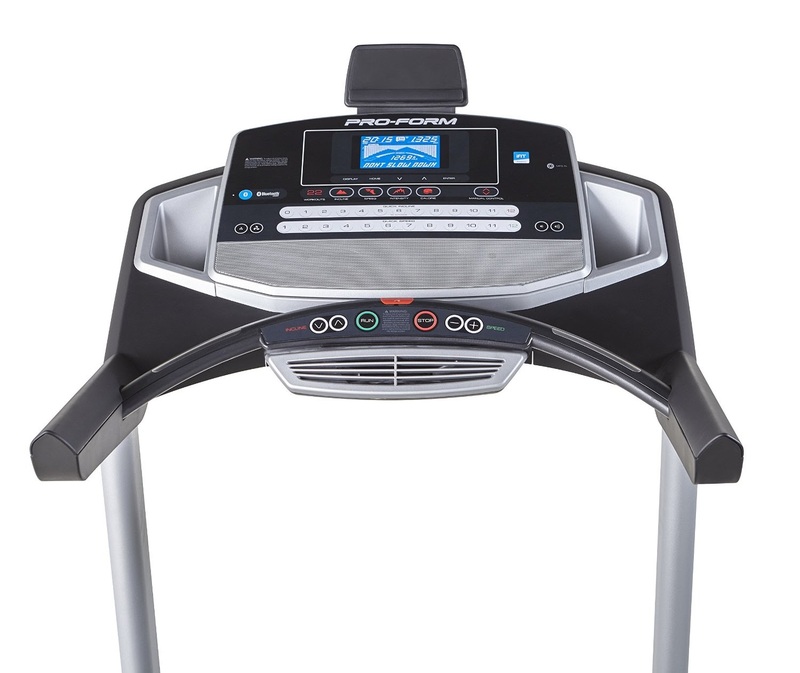 Additional features of this impressive treadmill include a built in tablet holder (located at the top of the console), MP3/iPod compatible sound system, and a CoolAire cooling workout fan. 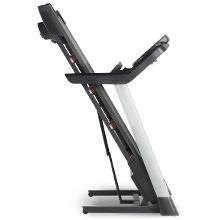 The ProForm Pro 1000 Treadmill features a SpaceSaver folding deck with EasyLift Assist. So confident is the manufacturer with the build quality of this treadmill that they offer a lifetime warranty on the frame and motor, along with a 3 year warranty on parts and 1 year warranty on labor. Merit Fitness 715T Treadmill versus Merit Fitness 725T Treadmill, What's the Difference?